Calling all Transformers Fans! 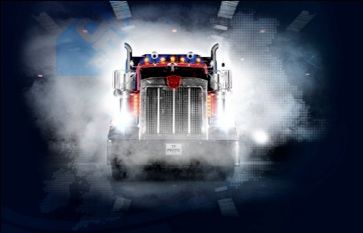 Heres your chance to meet Optimus Prime in person, well in truck form anyway! The Optimus Prime Truck will be touring around various UK events this summer to help promote the new Transformers Prime Beast Hunters range. Transformers Prime Beast Hunters is the third season of the Transformers Prime cartoon series, and sees the Transformers not only having to deal with the ever-present Autobots. Now a new enemy in the form of dragon like Predacons are causing trouble. The main problem being the leader of the Predacons – Predaking. 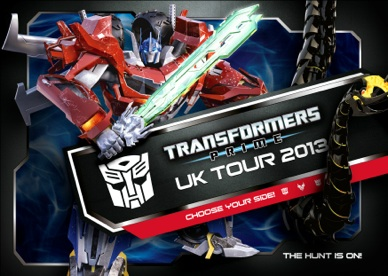 All fans who attend the Transformers Prime UK Tour will get the opportunity to check out the new range of Beast Hunters toys. View the new series on the big screen, and get a unique photo taken with Optimus Prime and the Beast Hunters against a green screen.